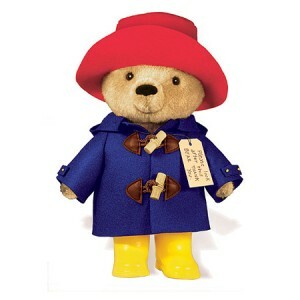 Paddington Bear Headed To The Big Screen!!! ‘Harry Potter’ producer, David Heyman and StudioCanal are joining forces to bring Paddington Bear to the big screen for a CG live action adaptation. I guess with the success of the recent ‘Smurfs’ film, Paddington Bear might appeal to folks as well. Paul King will direct the film for StudioCanal according to Deadline. We all know the story of the young stuffed bear in rain boots who travels from Peru to London where he’s taken in by an English family. Paddington will always have a special place in my memory as I used to read the stories growing up and I was in the stage play when I was a kid. Hopefully Heyman and King will bring as much charm and comedy to Paddington as ‘The Smurfs’ did. Who do you think will be the voice of Paddingon? ‘The Secret Garden’ is Getting the Remake Treatment! This entry was posted on Thursday, May 10th, 2012 at 8:10 am	and is filed under Film, News. You can follow any responses to this entry through the RSS 2.0 feed. You can skip to the end and leave a response. Pinging is currently not allowed. « Bryan’s Review of ‘Dark Shadows’!! !